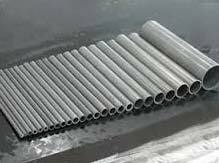 Stainless steel cold finished seamless tubing, carbon steel cold finished seamless tubes for heat exchangers, condensers, boilers , chemical process equipment. Specifications & grades like a213, a312, a249, a179, a192, a334, is1239, bs3059, din2391, din17175, jis & other relevant standards. U tubes also available as per tema.